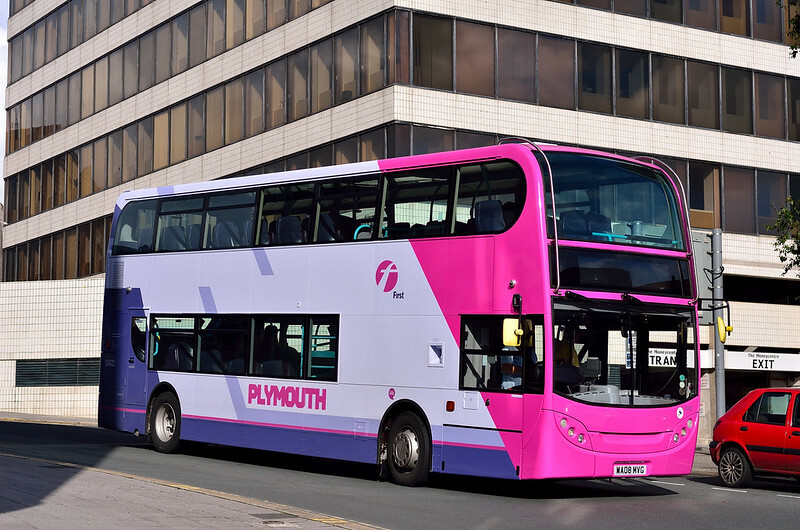 It is nice to see PLYMOUTH fleet names in use at last! It remains to be seen if they get any additional lettering specific to Park & Ride duties. The more I see these, the more I like the new livery! TRANSPORT ILLUSTRATED: Lathalmond, Part 2 The tour resumes in the museum's main display hall which contains some real gems, beginning with 1945 utility Aberdeen 155 (BRS 37), a Daimler CWD6 with Duple bodywork. It's rather ironic that a firm so associated with luxury coaches was a major constructor of these necessarily crude bodies. PUBLIC TRANSPORT EXPERIENCE: Wessex may Grizzle with changes at Brizzle  It doesn't take too many brain cells to realise that there will have been some dissatisfaction with the services provided by Wessex Bus as a spur to the survey and consequent report. There's a clue in the report's title, "The Only Way is Wessex"!! Indeed the report's summary produces stats to highlight the grumps. NORWICH BUSES: Fleet Update - Simonds News from Diss based Simonds has arisen today that two of their MCV C122RLE bodied Volvo B7Ls acquired in 2013 have received striking new rear adverts for two of Norfolk's popular tourist attractions. NORWICH BUSES: Anglianbus and Konectbus Updates With the transferal of service 53 (Norwich-Wroxham) to sister company Konectbus from September 1st, the five regular buses on the route are set to transfer with the route. IAN VISITS: London Open House A few venues are using Eventbrite to handle booking following the fiasco a couple of years back when everything broke down. Sadly, some venues are still email or ballots, meaning that you wont know what you have for hours, if not days — which makes planning damndably difficult. I feel this suits the livery and the bus very well.Target Travel have done a great job haha! !,and I'm not having dig either!!. I assume there will be some sort of branding since the First logo is not in the normal place! But then again we never seem to know with First, always saying one thing and doing something completely different!